Alchemy of Touch Massage is the unique fusion of Deep Tissue. Massage in motion, Rebalancing, Joint Mobilization, Yoga Thai Stretches, Digital Pressure Massage, Holistic Massage, Visceral work, Meditation and ‘Alchemy of Touch’ Innovative Method; ‘Fluid Touch’. 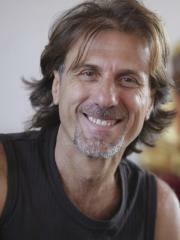 Tapesh provides and shares ‘Alchemy of Touch’ Massage and Bodywork Trainings worldwide. He shares as well individual sessions on a global scale to a big variety of clients, some who are very well known. Every massage session will customized to your personal needs.